July 19, 2017 SEOBy DEANknows! We have wanted to complete an SEO case study for a while now…document every step in ranking a real estate website. We have recently come across the perfect client to do just that – so we will be documenting the process of ranking a real estate website from no rankings at all to page one of Google. 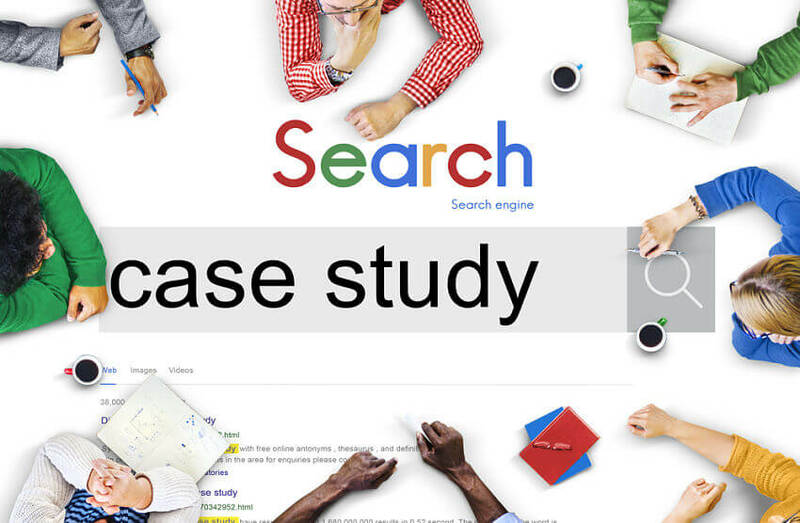 In our SEO case study on a real estate website, we will lay out each step involved, as well as the results for achieving a page one Google ranking in a very competitive market. Its important to understand that this process takes time. Most of the work that we do today, we intend to see results a couple months in the future. For that reason, this blog post will be updated as we continue down the path of ranking this website. First we will lay out what is done at the onset of the SEO project. As we continue to do work on this SEO project, we will update this post with exactly what has been done and what our results are. If you are following this from the beginning…you can watch us rank a real estate website in real time. Google’s way of letting you know if you have a quality website is how they rank you. They do not let you know what is missing or what can be approved on. For that, we have a variety of 3rd party companies that have devised metrics for SEO. We utilize a variety of 3rd party companies to provide statistics on your domain. First thing to keep in mind is that your ranking factors are actually on your domain. Your domain, even if you were to replace the existing site with another, brings with it its domain metrics. Although we know that Google likes to see backlinks that point to your site, the quality of those backlinks are extremely important. In addition, each page on your domain has its own set of “metrics” that dictate if it is of a high enough quality to rank — and what it should rank for. We choose this website as our case study on ranking a real estate website because although the domain was aged, it have very few metrics at all. We see only a handful of backlinks, a Domain Authority of 1 a Page Authority (for the homepage) of 1, a Trust Flow of 0. Upon reviewing the actual backlinks, we see these are not “bad” backlinks — and shouldn’t hinder the ranking process. As a general rule, Google moves very slowly. Domain metrics are important as they provide insight on what to expect as well as describe where you are in your SERPS. What I mean by that is we will see results within our domain metrics before we see movement in the rankings. This can somewhat act as the canary in the coalmine to insure we are doing this correctly. Its important to remember, these metrics DO NOT come from Google, so although they provide insight – they do not turn into rankings. You can not get too carried away with building up metrics at the expense of ranking the website. We will be providing new snapshots of the domain metrics for our real estate website case study site over time, as we continue to do work. One of the most critical ranking factors for your website is backlinks. Not only the raw number of backlinks, but the quality of the backlinks. Not only the quality of the backlinks – but their relevance to your website. 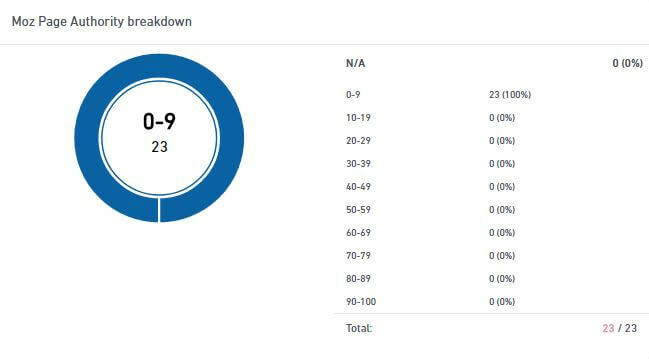 To properly document our SEO case study, we are going to describe our findings of our backlink audit. One important thing to look for is the overall number of backlinks compared to the number of IP addresses that are pointing to your domain. This provides insight on if you have a couple of websites (or websites on the same server) with hundreds of links pointing to you — or do you have a wide variety of sites. As a general rule, the more natural backlink profile has a couple of links from a variety of websites. 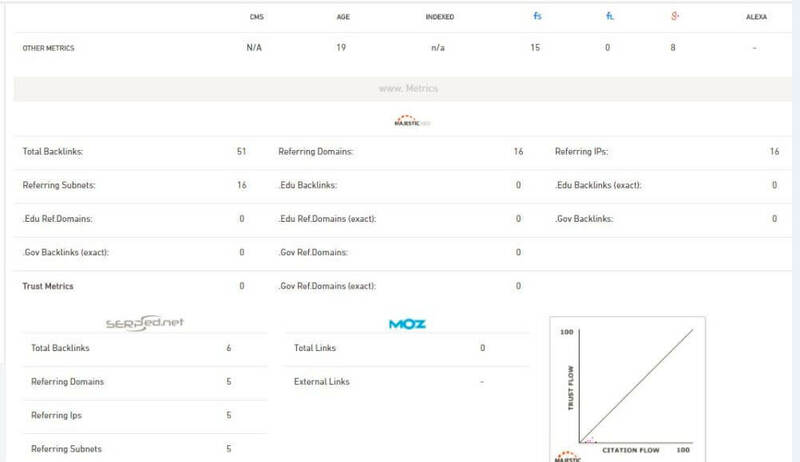 In this instance, we see that Majestic is showing a total of 51 backlinks, from 16 Subnets and 16 domains and IP addresses. Where MOZ is showing 6 backlinks from 5 websites. When we review the quality of the backlinks – we see that they are providing very little to the authority of the domain. You can see in the photo above that the Page Authority of the pages that are currently linking back are ALL below 10. This is generally not good – but since the number of backlinks are few, and upon reviewing each link, they appear to be benign. The next photo shows the Trust Flow of each backlink. Trust Flow is quickly becoming a critical metrics for ranking – as it looks more at the quality of the page, based off of who is linking to them. You can see the Trust Flow is not strong either – with every link pointing to the site having a Trust Flow of below 5. Lastly, we will look at the amount of traffic that the existing sites (that are linking to our real estate website) are getting. This is important as to prove authority – the referring sites should have traffic. 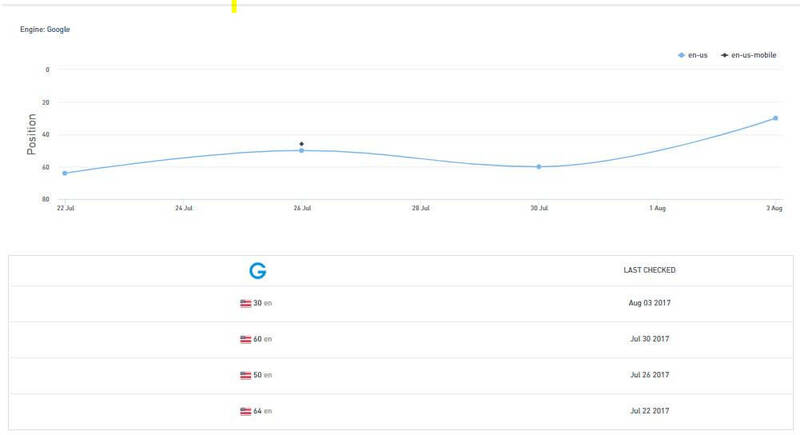 Alexa Rank shows where the referring sites rank based off of traffic. As the very fist step in ranking any website, we must know where we stand. Upon reviewing the backlink profile, we can see that we will not need to create a disavow file and submit that to Google. A disavow file lets Google know that you don’t want any credit, whether it be good or bad, from the referring source. Our backlink profile also lets us know that we will need a pretty substantial backlink campaign if we are to compete in the hyper-competitive vertical of real estate searches. Now that we have an idea of the current authority and trust of the domain that we will be working with, the next thing is to see what we will try to rank for. Keyword Research is the foundation of any Search Engine Optimization campaign. Keyword research will tell us the level of competition for each phrase and let us know the strengths and weaknesses of who we will need to “beat out” to get on page one of Google. Our keyword research will be the road map for all of our On-Page SEO as well as the blog posts we will write and syndicate on social media. When reviewing real estate keywords, we do not just want to see what search terms are getting the most searches, we are also looking for which terms convert into new clients. One metric that provides some insight on the ability to convert is the current CPC – or Cost Per Click. This is what other advertisers are willing to pay Google for a click from that keyword phrase. In most instances, the heavy lifting has already been done here – and if the CPC is high, that keyword general will convert well. In this instance, we are trying to rank for keywords that people who are looking to purchase a condo in Panama City Beach Fl. What we find when reviewing the results of the most popular searches is that many people searching for condominiums in Panama City Beach are looking for rentals NOT purchases. In the above screen shot you can see that Panama City Beach Condos gets over 18,000 searches per month. That’s a pretty hefty number of potential buyers — but are they really? If you look at the results, all of the sites ranking on page one for that search are displaying rental results. Google has already figured out that people putting in that specific term are NOT looking to BUY a condo – but are looking for a resort rental in Panama Beach. It would be a total waste of time and effort to try to rank for that search term. When looking at the above screen shot, you can see the domain metrics of the websites that DO rank for that particular search term. When going through hundreds, maybe thousands of search terms, we are looking for a crack in the armor of an existing ranking site. It becomes quite obvious how much work needs to be done to get our domain metrics up to the numbers of the existing ranking sites. Once we have a master list of keywords, we create a spreadsheet listing them out. Long tail keywords are more specific searches – which generally get much fewer searches, but are much more detailed. In the realm of real estate, long tail keyword searches are those that are including the name of the condo complex or something specific for the respective area. Long Tail Keywords help in providing a road map on what blog topics we can write about as well as provide key insight on latent keywords to include on our money pages. In real estate SEO, long tail keywords can help you to define your money pages. Since we have mentioned the term “Money Pages” – I guess we should provide some insight on what we are talking about. Most websites have a variety of pages. Some of them are intended to rank well on Google for a specific search term, some are there for utility. For instance, you need a Contact Us page — but you don’t really expect that page to rank in a Google search. Once we have done our keyword research, that should lead us to defining the money pages for the site we intend to rank. In our instance, one of our money pages will be titled “Condos for sale Panama City Beach”. We have come to this conclusion NOT based off of what we think – but the intense keyword research and review that has been done. We will end up with many Money Pages — all based off of our keyword research and what our client chooses to focus on. We will also have secondary money pages – or long tail money pages which will include the condo complex themselves (with the appropriate “for sale” terms in the query). Not only does the site need to be properly set up using SEO best practices, but we need to provide an incentive for the causal web traffic to become a lead. That means laying out a strategic Calls to Action as well as making it very easy for the user to find their way around the site. To rank well for any website, Google looks at what we affectionately call “quality metrics”. Just about everyone in the world, with a website, has Google Analytics. If you don’t, you should. Google Analytics gives critical information on what people do once they land on your site. Regardless of what they say Google uses these metrics to see if when people land on your site for a specific keyword — if it is a good result. That is denoted by the Time on Site, how many pages the user clicks through, the Bounce Rate and more. A manual SEO audit takes a lot of time as each aspect of the website is looked at by a human. We provide an FREE, automated SEO audit If you would like a quick, fast review of your on-page SEO. Now that we have a pretty firm understanding of what we are dealing with, its time to start setting things up to move forward. In addition to our proprietary SEO systems that we have developed, we will be setting up Google Search Console and Google Analytics. Google Analytics provides valuable insight on how users interact with your website. Google Analytics shows the Quality Metrics (as described above) but also which pages your customers are entering your site from, where they leave and everything in between. Also, Google Analytics is the center of your suite of website tools by Google which may include Google AdWords, Google Tag Manager, Google Search Console (previously called Google Webmaster Tools) and more. 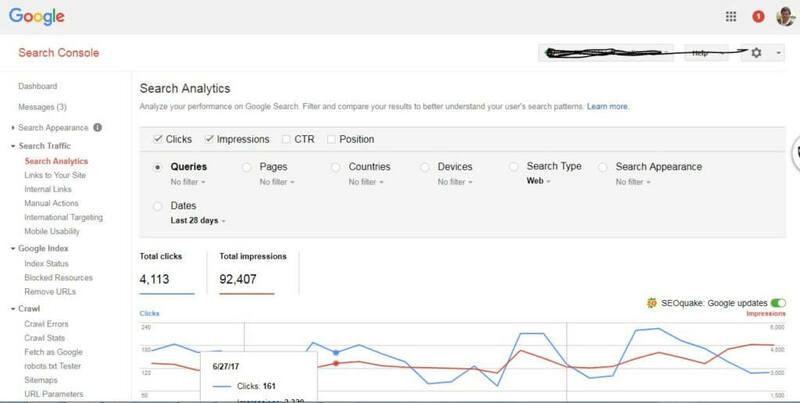 Where Google Analytics provides the insight on what users do once they land on your real estate website, Google Search Console tells you how and why they got there in the first place. Google Search Console, for many SEO Gurus, become the center of the data used for critical decision making for Search Engine Optimization. Google Search Console will show you your backlinks, where you rank for specific search terms, what your Click Through Rate (CTR) is, how your site is “marked up” and much more. Its also where you submit your XML sitemap, verify your AMP pages, create a disavow file and even where you submit new pages for indexing. Google My Business is extremely important for Local SEO. GMB is the center of searches by name or industry. For real estate, this includes searches like “best real estate agent” “local realtor” and other critical searches. To get set up with Google My Business, you need a physical address. When you set up that account, they will mail a postcard to the address and you will need to verify the account by entering the code sent to that address. Citations are references to your website from directory based websites such as Yelp, Foursquare, Yellowpages and the like. These sites simply give a brief description of what you do and provide your phone number, address and a link to your website. Citations are very important for any business. Even if you do not have a website at all, your business should be listed on citation sites. From an SEO perspective, having consistent citations are critical for Local SEO. The point of reference for your accurate NAP is your Google My Business account — and of course your website. Having contestant citations for your business, with the EXACT NAP (Name, Address, Phone Number) are important if you want to rank for what Google has determined to be “local searches”. Because having citations with any variance in the NAP can be detrimental to SEO – we need to provide a full Citation Audit. This is where we look at any site that references your business and insure that they have the correct Name, Address, Phone Number and website. As mentioned, your Google My Business account acts as the frame of reference, along with the information on your website. Once we have a clear idea of the existing citations, we make sure to “claim” any citations that have not been claimed. Then we set out to create new citations. In addition to the “standard” citations such as Yelp and Yellowpages – real estate has some unique citation options. The next thing on the list is to set up the tracking of the keywords that we have chosen. We track keywords in a variety of ways. Since mobile searches produce different results than desktop, we set up each keyword to be tracked on mobile and on desktop. We will be setting our monitoring system up to track every keyword, on both mobile and desktop — and checking the results every 5 days. Since Google is smart, they will rank certain keywords differently depending on your location. For instance, if you Google the term “best real estate agent” you will get different results depending on what city you are in. The same goes for the big searches such as “real estate” and “homes for sale”. These searches do not have the location (Panama City Beach Homes for Sale) – but will get a TON of search traffic. Although the non-city specific searches like “condos for sale” take longer to rank for, they are very achievable. With all of that being said, we will set up each term to be tracked on mobile, desktop, global and locally. In addition, we will track map searches for they hyper-local searches such as “best realtor” or “real estate agent” to monitor when we start showing up in the mighty “3-pack”. Since right now we currently don’t rank for anything — there is not much reason to show you the results. Moving forward, we will be showing you all of our ranking results. This is where we stand at the moment. Now that we have the basics done, we can get to work on ranking this real estate website. Be sure to bookmark this page as we will be updating this exact URL as we move forward with the on-page SEO, content creation, social media syndication, backlink creation and some extra-special Ninja SEO stuff! At this point, we are almost two weeks into our SEO Test Study. We have completed the creation of 48 Citations, using the exact NAP (Name, Address, Phone Number) as the Google My Business account we have set up and are waiting for confirmation on. We have set up to ping all of the new Citations over the next week to assist with crawling and indexing the citation pages. We have built out our main Money Page, added about 1200 words of original copy and the most recent listings for that market. On our money page we also updated the meta title, description, H1, H2, H3 headers, reviewed internal links and added a couple CTAs (call to action). We have posted about three originally written blog posts on mulitple, high authority websites as well as written two other Tier 2 blog posts and linked to our Tier 1 articles. We have been granted access to the Social Media Platforms and made sure all platforms have the correct info. We have set up an account with Hootsuite ad started posting real estate related information. Since our SEO customer has videos posted to YouTube, we were granted access and came up with a game-plan for ranking the existing and new videos. We have submitted a Press Release and are waiting on approval and syndication. Because our website has very weak Domain Metrics starting off — We CANNOT directly link back from the Press Release. We had to put the original release on a specific news website (which has links to our real estate website) and have the Press Release link to that. Lastly, we have written one blog post for our real estate website and sent it in for Social Media Syndication over the next 45 days. Most of what we have done so far will not show any difference in a Google rank for at least 30 days, most likely more. Now we need to start looking at the fastest way to generate some new, organic traffic. We are not going to rank for any major keyword for a long time, but that doesn’t mean we cant start generating new traffic and leads. If the goal of the SEO campaign is Return on Investment, we need to be focusing on capturing traffic ASAP. Now lets drive a little traffic. What we are focusing on now is our SEO low hanging fruit. We created a quick report showing some of the existing search terms the website does rank for. Needless to say, these are lower in search volume (search volume noted in yellow). We also see what pages are ranking. Notice how similar the search term is to the domain structure. That is why creating the correct URL structure is so important. What we are going to do here is do a hard and fast review of each of the ranking pages. We will optimize the Title, Description and Headers of each page. Although im sure that each page desperately needs some additional copy, we most likely wont tackle that now. But we may add a couple paragraphs here and there to fill it out a little. We will then go over the homepage and top navigation (and anywhere else the site links to other pages) and make sure we have internal links to those pages. We will make sure the anchor tags are exactly what we are ranking for. Once we have done that, we will log into our Google Search Console account (o-yea, we set up all of the Google accounts too) and submit each page for re-indexing. Our goal here is to take advantage of some easy ranking terms that we already have a head start on. A little formatting, internal links, a new blog that finds a way to link to the majority of the pages and we should be able to generate a couple hundred more clicks. Its important to keep in mind that if you have Google Analytics and Search Console on your site, Google knows exactly how much traffic and for what keywords you are getting. If you write your meta descriptions well, you can usually beat out the other pages that are currently ranking on page one for these longer tail keywords. That CTR (Click Through Rate) is highly measured by Google. Moving up through the ranks, from organic clicks is exactly what tells Google that you have a quality site. One last thing we are going to do to these pages. We are going to create a couple good, Calls to Action to attempt to convert (or at least get a click thorough) of our new found traffic. Well, here we are one week later. Since we have last checked in, we have written another blog post and had it posted to high-quality “apartments” website with a back-link to our main keyword on our main money page. We have documented every step in our SEO Case Study of a Real Estate Website – and lets take a quick look at some rankings. At this point, we really don’t expect to see much in the way of moving through the SERPS for any major keywords, but we are tracking it so lets take a look. We have had small bumps for many of the keywords – especially the low hanging fruit. The best insight in that we are moving in the right direction is a 34 position jump for our MAIN keyword for the site – which gets 1,900 searches a month. These are the global search rankings. We will eventually be looking for the search rankings from WITHIN our target area, but for now – Global SERPS are what we are looking at. Where do you go to hide a dead body?